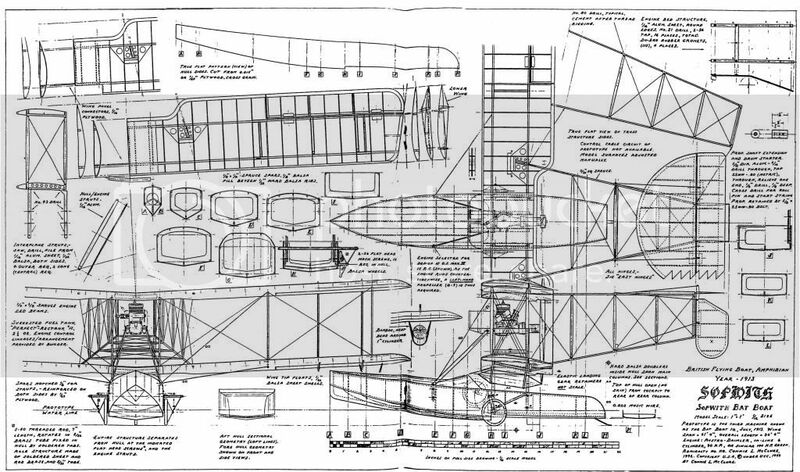 Has anyone got any pictures or drawings of the cockpit of the Sopwith Bat-Boat by any chance? Also seeking close-up detail pictures of the engine, floats, booms and tail structure together with any drawings showing external or internal details. Frankly, anything would be better than what I have already...! Can you email it to me as part of it is cut-off, by any chance? Bryan - if you click on the image and save it you will get it all I think. I just tried that and it does save the whole image, Thanks. Wow, what a scan...! I never realised it was THAT big..! It would make a cracking flying model; I built this in 1/72 scale from the Joystick vac-form and that took some real doing, I can tell you. Bryan - just following up on your original enquiry about the Bat-Boat. I am not sure if you and others are aware but the Classic Boat Museum at East Cowes on the IoW currently has a temporary exhibition devoted to the 100th Anniversary of the Bat-Boat's first flight which includes a 1/8 scale model of the original. I am not sure how long it will continue to be on display so, if planning a visit to see it, I would check with the museum first although there is lots else to see there besides!